Welcome to Mukono Health Centre IV. Sister Jessica, a clinic midwife, begins the tour in the post-natal building. It is only 8 a.m., and she must squeeze through dozens of patients to arrive at the building’s one and only examination room. 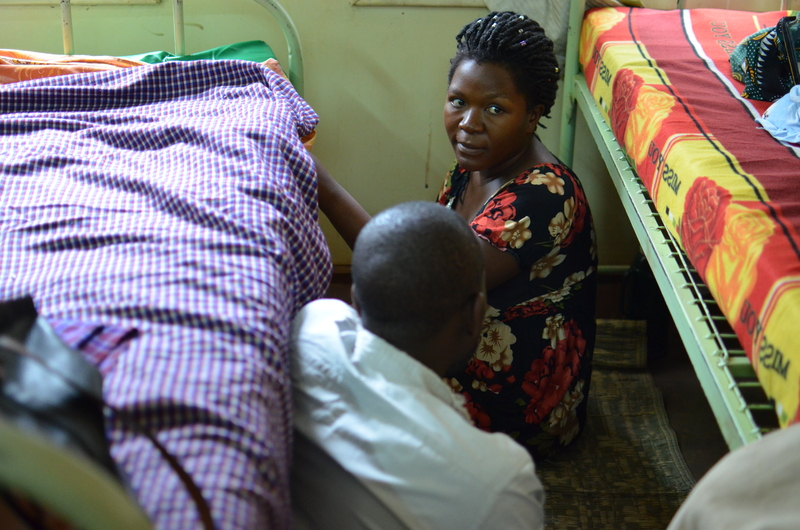 Inside, three midwives scramble to prepare for the day in a space not larger than a walk-in closest. They greet visitors politely – they are Ugandan, after all – but immediately return to preparations. Today, they will see more than 100 mothers. The waiting room continues to fill. 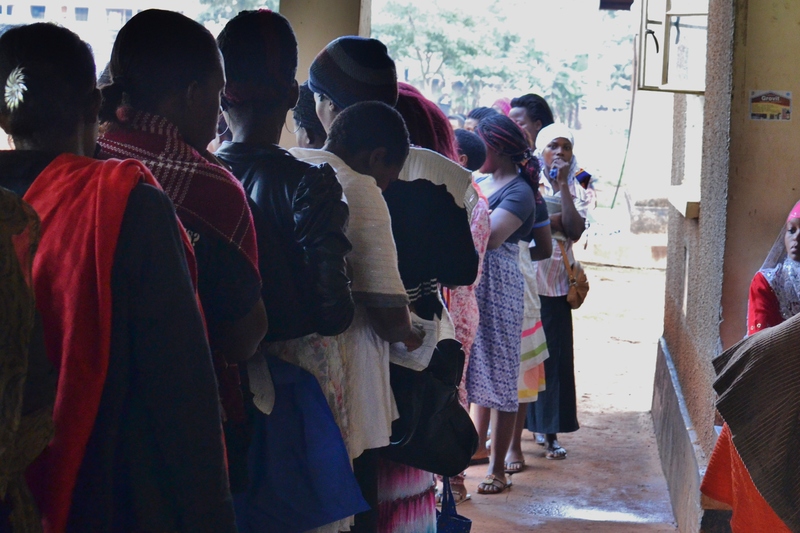 Some arrive for immunizations, others for family planning and still others for various parenting concerns. It is a mad dash to weigh infants, in hopes of finding a place to sit on the limited concrete benches. Sister Jessica’s tour moves to the prenatal unit – an open air reception room covered by a gazebo-like structure. It’s even busier. 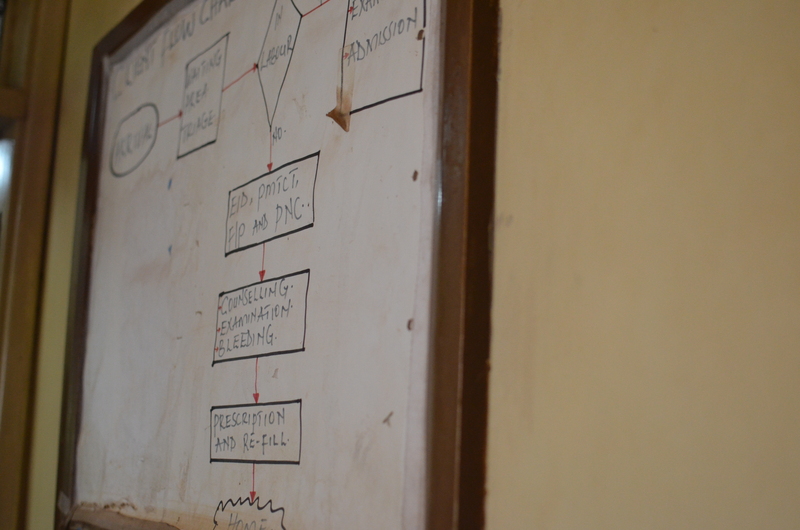 Mukono Health Centre IV is a public, government-sponsored clinic. The services are free, and thus attract many low-income families from around the area. A line for immunizations – tetanus, today – extends through the entire reception room. 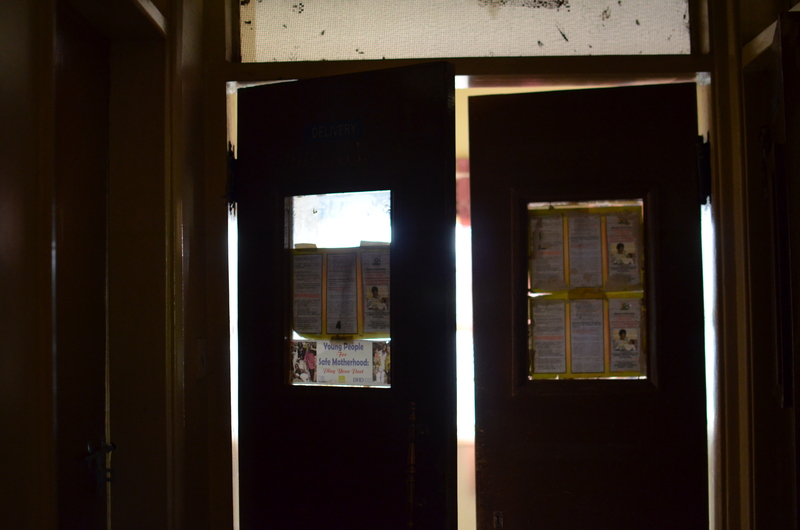 Young mothers in all stages of pregnancy wait to enter one of three examination rooms. A nurse opens a tattered planner. Sister Jessica leads down a narrow hallway. As she passes, she points into an open door, the room covered by a thin mattress and belongings. Cries are heard from the delivery room – a new life enters the world. 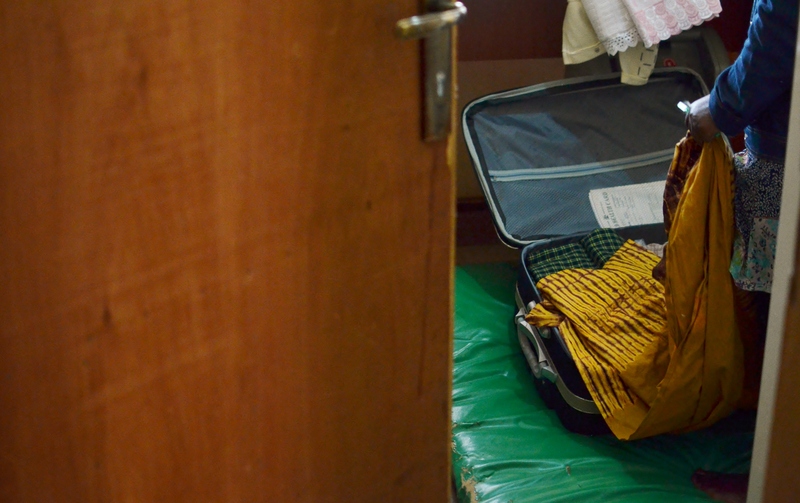 It is only one of 20 deliveries a midwife can expect in one duty, Sister Jessica says. There are two delivery beds. Across the building, Sister Jessica leads to the post-natal ward. There are eight beds here to accommodate moms who have recently given birth, those who will soon give birth and those who will leave the clinic empty handed after a complicated birth. Postpartum hemorrhage. Asphyxia. Eclampsia. Umbilical cord prolapse. Sister Jessica’s tour of the maternal health facilities ends here, but the magnitude of the situation does not. 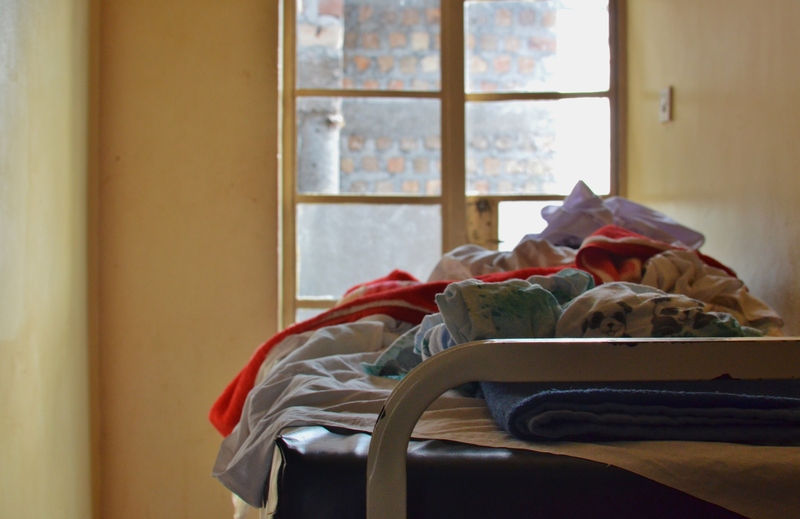 Uganda’s healthcare system is brimming with similar facilities, many of which lack what some would consider basic necessities – drinking water, power, drugs. 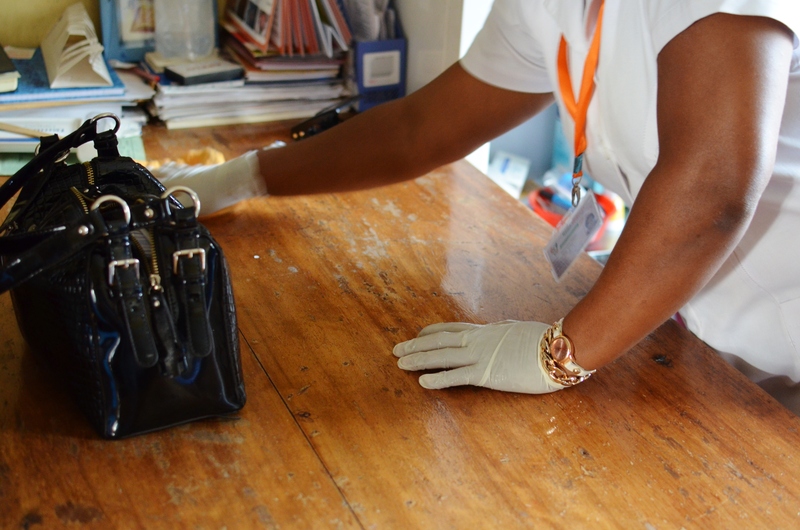 A level four facility like Mukono Health Center IV is the largest of facilities in Uganda under hospitals, which – ideally – every district should have. These hospitals, however, have little more to offer. 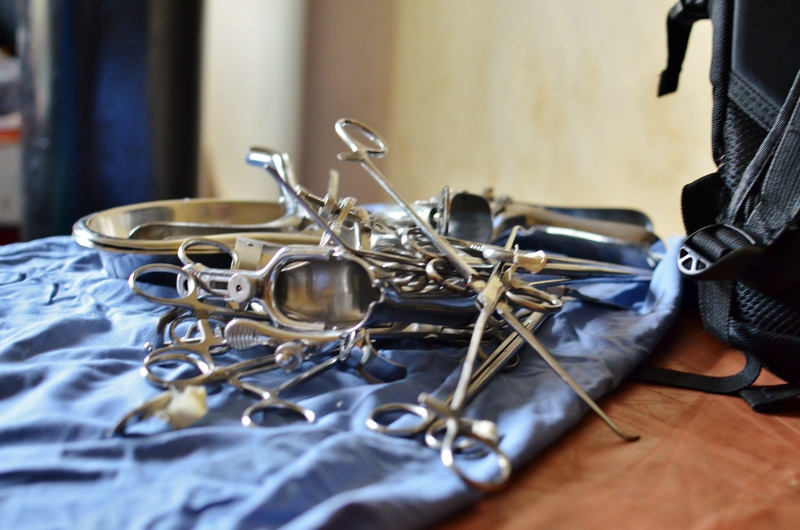 Julie, a trained Ugandan physician who has left the public health system to work for a private U.S.-based research NGO, had not received her monthly salary of $187 for six months before she decided to leave. In a public hospital, she could not drink the water, let alone take a coffee to get her through shifts that can last over 14 hours. At the foreign-owned NGO, Julie works a more comfortable 8 a.m. to 5 p.m. shift, has access to a fridge, microwave and takeout and receives a regular salary. She works with 44 other trained Ugandan physicians. 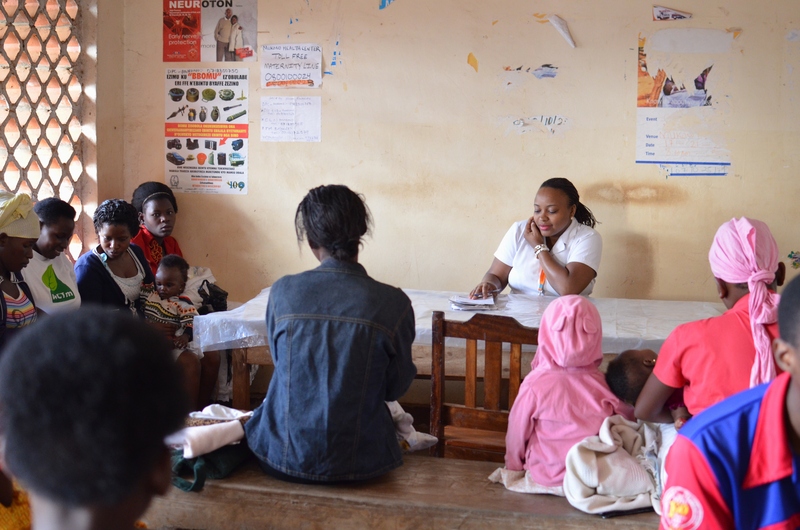 Dr. Eve Nakabembe, a obstetrician and gynecologist at the public Mulago Hospital in Kampala, Uganda’s capitol, says the system is only one factor driving preventable maternal death. 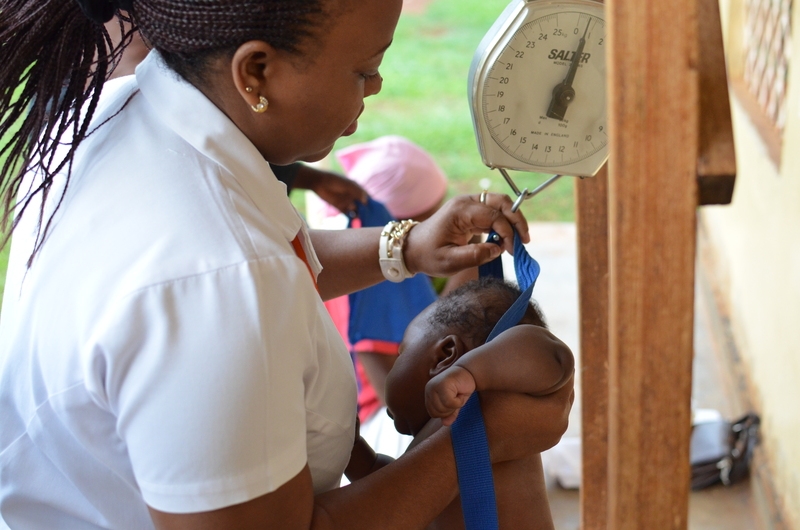 Nakabembe believes approaches like that of Save the Mothers – which trains interdisciplinary professionals through a Masters in Public Health Leadership program to improve the health of mothers and babies – will create lasting change in many aspects of healthcare. 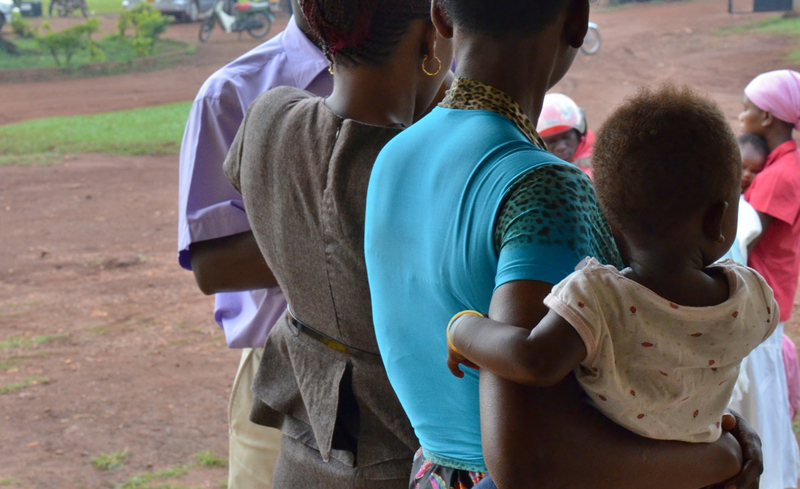 * For more information on the importance of men in maternal health, check out my newest post with Save the Mothers – and a Happy Father’s Day!